Short week! We’re all off Friday because it takes an entire day to stock up on enough beer and meat for this weekend’s July 4 barbecues. However, video game news keeps a-rockin’ because…well, actually there’s not that much news this week either. Because it’s July. Star Citizen announced its latest way to squander your kid’s college fund though, and did you know someone’s working on a virtual reality version of the arcade classic Battlezone? This is gaming news for the week of June 29. Somebody announced a game this week. Yes, in July. I know it’s weird. It’s called ELEX, and it’s a new open-world RPG from Piranha Bytes (the team behind Risen/Gothic). ELEX ditches the fantasy setting though for video gaming’s other favorite setting, the post-apocalypse. Also, the press release describes the game as “Eclectic, Lavish, Exhilarating, Xenial” which…well, hopefully that’s not why they titled it ELEX. We’ve got nothing else except for this single piece of art, with the rest of the game due to be unveiled at Gamescom next month in Cologne, Germany. Path of Exile ‘s first major expansion, The Awakening, has been in closed beta for the last few months. That all changes today. Or…well not quite today. But soon, at least! Grinding Gear announced this week that the action-RPG’s expansion (free expansion) will officially release on July 10. Waiting on 2K to release Civilization: Beyond Earth’s first expansion, the aquatic-themed Rising Tide? Here’s a six-minute video of the E3 demo to tide you over. How much are you willing to spend on a virtual ship in a virtual world? $5? $10? $20? What about $400? Are you willing to spend four hundred dollars on a fake spaceship? If you answered “Yes,” then you are the target audience for Star Citizen’s latest practical joke value offering, the Genesis Starliner. 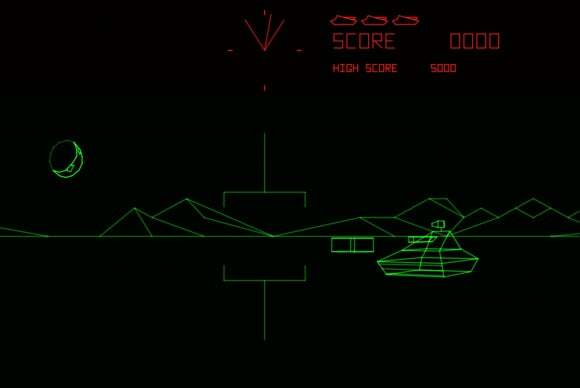 I’m just posting this one because I missed it during E3 and I love the original Battlezone arcade game. Rebellion, the developer of the Sniper Elite games, is working on a virtual reality reimagining of Battlezone, and that makes so much sense. They’re also remaking the 1998 Battlezone game, if that’s more your speed. Valve sold out of its “Get it Early” Steam Machine test-run this week—although they’re not saying how many Steam Machines that actually constitutes. Microsoft says its lenses can improve on the VR experience. The problem? The lenses run $200+ per eye. Lego Minifigures Online ditched free-to-play this week. Parents, breathe a sigh of relief. No more Skylanders model. Frictional’s latest game SOMA is unnerving, to say the least—in ways Amnesia never even attempted. Ubisoft’s new medieval combat game For Honor is like that scene in Braveheart where both sides charge towards each other and then everyone dies. And the new Need for Speed is just like The Fast and the Furious. The first one. Street racing’s back. Also, I did not like Batman: Arkham Knight. For a variety of reasons, but mostly the Batmobile.